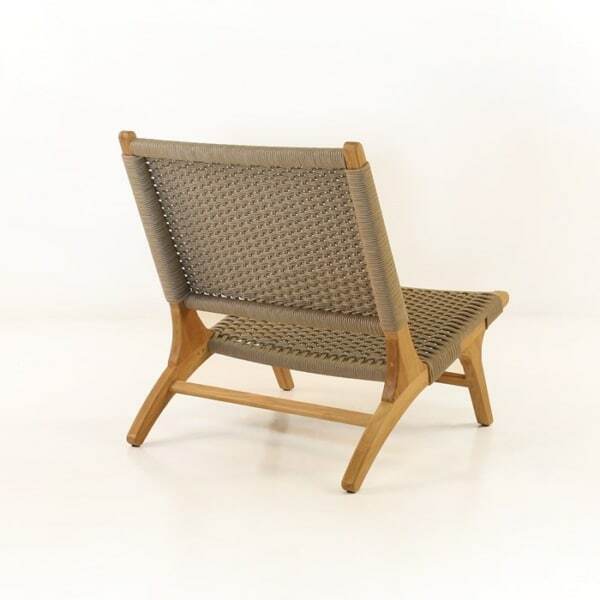 Breaking conventional views of what a relaxing chair looks like, we proudly introduce our Tokio relaxing chair. The combination of outdoor materials used makes this a fascinating chair to own. 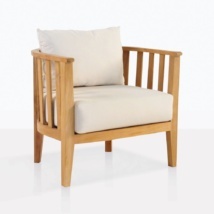 The frame of the Tokio chair is made entirely of A-Grade teak. 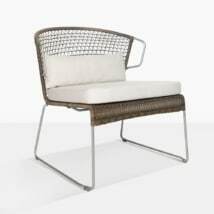 The frame sits low, close to the ground and is constructed to contour the body into a relaxing position. 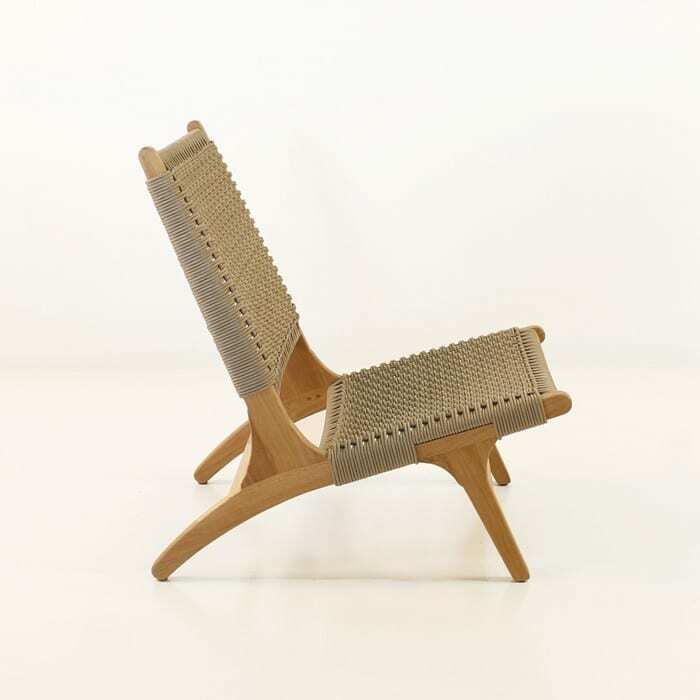 As the pictures show, one marking of a relaxing chair is the angled legs, unlike the upright legs that many dining chairs possess. 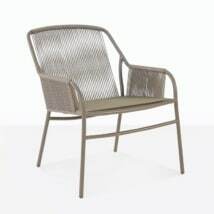 W27" x D31" x H31"
Completing the chair is the outdoor polyfiber that we use to weave over the A-Grade teak frame. This strapping is made from PVC and PP yarns that make it durable even in the harshest conditions. This polyfiber can be used in marine applications, such as outfitting a boat or if you live near the ocean. 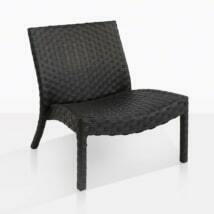 With the flexibility of this material, the weave adjusts and gives cushion to whoever is sitting on it. 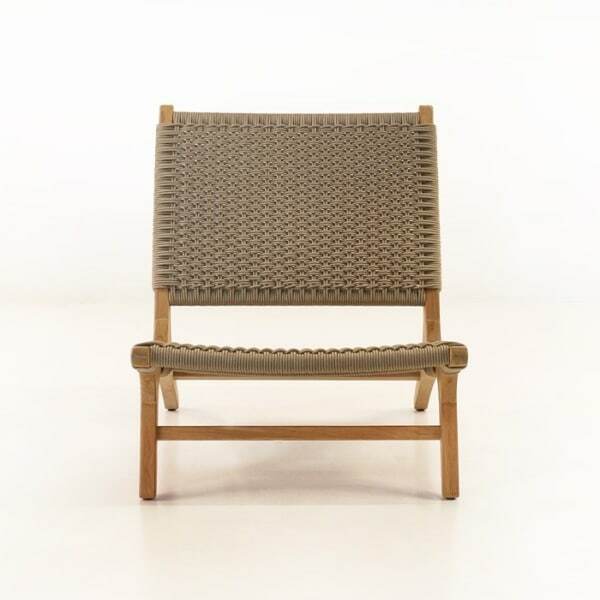 This relaxing chair is one part of our Tokio collection. 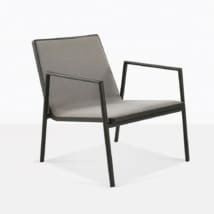 A chair with the same materials in this collection is our Tokio dining chair. The dining chair is at a conventional dining height and can be paired with any of our dining tables to create an amazing look! The maintenance of this teak relaxing chair is very easy. 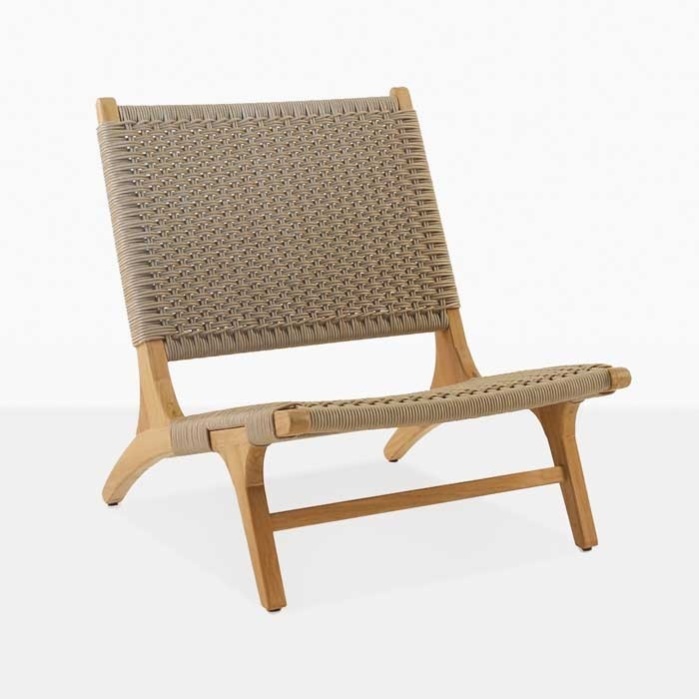 The teak wood and polyfiber strapping can both be cleaned with a soft brush and light soapy water. With regular maintenance, this chair is sure to look as amazing as the first day in years to come.